The Mul-T-Lock NE range of padlocks are made with high end functionality in mind. Sold secure gold & CEN graded from 3 to 6 the NE padlock range is designed to suite most applications and to offer the highest standard in strength and reliability. 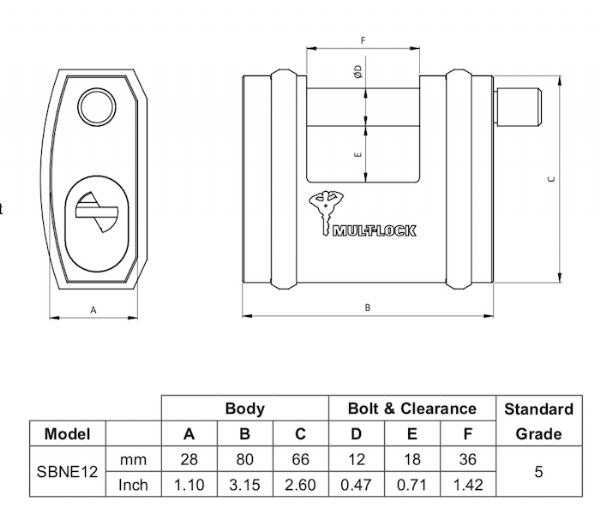 Take a look at the specification information below for additional information on the SBNE12 slide padlock.